Pools Beach: Located at the western end of the Puntas beach area - this is the first beach you find if you turn down the hill at the Puntas Bakery on Route #413. A favorite choice for families with children, Pools Beach offers a fairly calm protected area for swimming and plenty of space for playing in the sand. Snorkeling is very good at Pools Beach. Some very good surf at Pools Beach, but the rocky point and fast current can be difficult, better for more experienced surfers. To get to the beach, you'll have to climb down a small incline without any steps or pavement. Once you reach the beach, you'll see a path to the left where you can hike to Spanish Steps and eventually 'round the corner' to Domes Beach. To the right, there is a rocky point that separates Pools Beach from Sandy Beach. This is known as Siete Barrasos. According to local folklore, Cofresi the Pirate made seven marks on a rock outcropping that looks like the island of Puerto Rico. This is supposed to indicate the seven places around the island where he buried his pirate treasure. Pools Beach has no public facilities or shops. 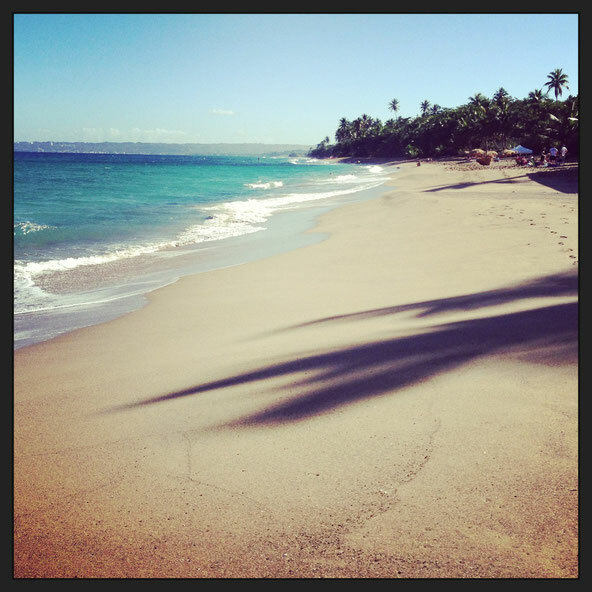 Sandy Beach: This is the main beach of Puntas where you'll find great restaurants, bars, hotels, guest houses, vacation rentals, apartments and villas. You'll find lots of activity on the beach and can probably join the beach volleyball or just watch from the famous of all beach bars, Tamboo. This is one of the most popular spots in Rincon so if you want to hang-out with the active beach crowd - this is the place for you! Swimming is good most of the year - unless the surf is especially high. Sandy Beach ends at the 'Parking Lots' that mark the start of Antonio's Beach. Antonio's Beach: As you walk to the right on Sandy Beach it turns into Antonio's Beach just after the parking lots near Casa Isleña. Named after the owner of the land that borders the beach, this section is much quieter than Sandy Beach and extends all the way over to the area near the parking lot. If you want to relax and 'get away' from the action, this is a great option where you can still enjoy the surfing and windsurfing offshore in winter - but enjoy a less 'active' beach environment. Antonio's Beach to the 'River Mouth' parking lot is a favorite place for beachcombing for 'sea glass'. Lots of great surfing all the way past the "River mouth". 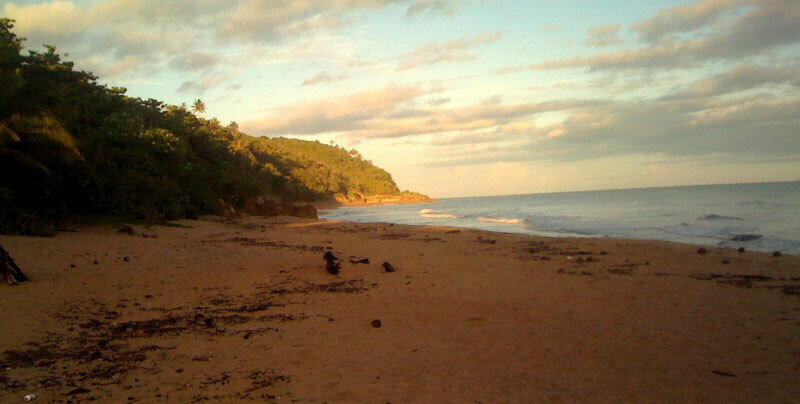 River Mouth: The last of Puntas' beaches is located to the right of the public parking lot at Antonio's Beach. This is the location of the new Punta del Mar Beach Resort development. There are tidal pools here - so the swimming is good all year and its a good choice for children.